Will strive to bring back ‘President’, ‘PM’ post in JK: Omar; Modi condemns remark. National Conference leader Omar Abdullah Monday said his party will strive hard for restoring the autonomy of Jammu and Kashmir that could include having a ‘Sadar-e-Riyasat’ (President) and ‘Wazir-e-Azam’ (Prime Minister), a statement which evoked sharp condemnation from Prime Minister Narendra Modi. 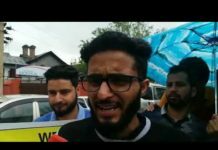 Addressing a rally at Bandipore in North Kashmir, Omar, a former chief Minister, said his party will not allow any attacks on J and K’s special status and will work to get back what was “infringed upon” including the coveted posts of Sadr-e-Riyasat’ (president) and prime minister for the state. Modi condemned Omar’s remark and demanded to know from the Congress and the ‘grand opposition alliance’ parties if they supported the NC leader on the autonomy issue.Addressing a rally in Secunderabad in Telangana, Modi asked the ‘Mahagathbandhan’ leaders to make their stand clear on the issue. Modi said there were media reports that Omar has stated there should be a separate prime minister for Kashmir.”Two prime ministers for Hindustan? Do you agree with it? Congress has to answer and all the ‘Mahagathbandhan’ partners have to answer. What are the reasons and how dare he(Omar) say that”, he said. Modi said he also wants to ask Trinamool Chief and West Bengal Chief Minister Mamata Banerjee, former prime minister H D Deve Gowda, Andhra Pradesh Chief Minister N Chandrababu Naidu and NCP supremo Sharad Pa war whether they agreed with Omar’s statement. “I want to ask Bengal Didi who shouts a lot, do you agree with it?. Answer the people U-turn (Chandrababu) Babu with whom Farooq Abdullah campaigned recently in Andhra Pradesh. Do you think Naidu should get votes?” NCP’s Sharad Pawar and Gowda, whose son is Karnataka Chief Minister H D Kumaraswamy. should also answer, he said. “Would you like to go with them (Mahagathbandhan) or break away from them?”, Modi asked. 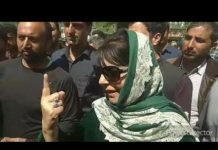 At his rally, Omar said the accession of the state with the Union of India was accomplished in lieu of various Constitutional safeguards, which if tampered with, will raise serious questions on accession. “We are not like any another state of India. Every other state got merged with the Union of India. We joined our hands with the Union on certain conditions unlike other states of India. Does any other state in India have its own flag and constitution? Our handshake with Indian Union was subject to certain conditions, he said. 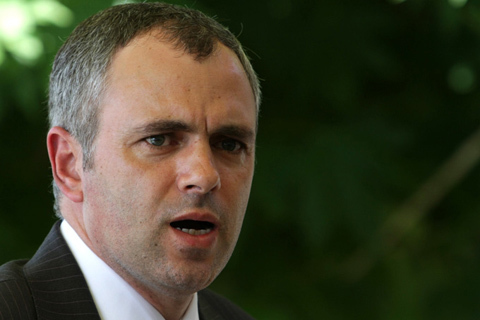 Omar said after 70 years, forces inimical to the state’s special status were trying to backtrack from the conditions. “The move will also initiate debate on the fundamentals of accession, there is no second thought about it. It takes two hands to clap,” he said. “…we will fight any attempt that is aimed to fiddle with our state’s status. We won’t allow any more attack on our special status. On the contrary, we will strive to get back what was infringed upon. We will work towards getting back the coveted posts of Sadr-e-Riyasat’ and Prime Minister for our state,” he said. The National Conference has always advocated restoration of autonomy for the state and had passed a resolution for the same in July 2000 in the state assembly. It was, however, not agreed to by the then BJP-led NDA government at the Centre. Rebuffing the statement of BJP president Amit Shah against Article 35-A, Omar also said no one knew about Article-35A until he raised it in the assembly. “I inquired from the then chief minister about the efforts that were being made by the state government to defend it in the Supreme Court. Only then it came into the realm of debate. In 1947 certain assurances were given to us in the form of securing our identity and the assurances were for all times. “Before Shah, Arun Jaitley also had made some uncouth remarks on Article 35-A. Let me put it across, that we won’t allow that to happen. Article 370 and Article 35-A are the articles of faith for us, he said. The two articles relate to special status for the state. Previous articleMore than 113 milion people suffer ‘acute hunger’: UN. 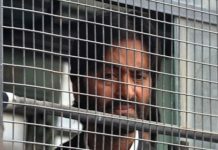 Next articleAny attempt to abrogate Article 370 would be saying goodbye to J&K: Sajad Lone.